Sheena Chohan has been nominated for ‘best actress’ against Hollywood superstars Kiera Knightley and Cate Blanchett for her foreign film ‘Ant Story’ at the Shanghai International Film Festival. Sheena, who has in the past starred opposite Mammooty in ‘The Train’ and in two films by national award winning Buddhadeb Dasgupta, attended the ‘Red Carpet Awards’ ceremony in Shanghai which was opened by Nichole Kidman and closed by Natalie Portman, to receive her nomination. Sheena was the only actor representing India in Shanghai. 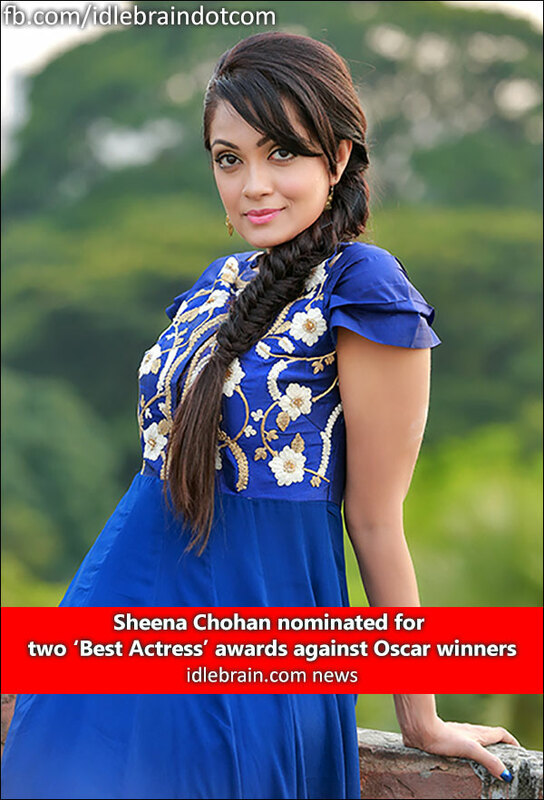 Sheena was also nominated for ‘best actress’ (for her first foreign film, ‘Ant Story’); at the prestigious ‘Dubai Film Festival’ where Shekhar Kapoor was the judge. When Shekhar heard of Sheena's Shanghai nomination in the same category as the Hollywood stars he tweeted: "Congratulations @SheenaChohan for being nominated best actress at prestigious Shanghai International Film Festival for Ant Story. Terrific!" Sheena is celebrating her success in films, after five years of theatre and getting into the industry after being handpicked by Sushmita Sen to participate in ‘Miss Universe India’ where she won a coveted title, as well as winning the ‘Miss Kolkata title’ in school. The ‘Red Carpet’ premiere of ‘Ant Story’, directed by Mostofa Sarwar Farooki was held on October 24 in Bangladesh. Sheena is also hotly tipped for nomination at the ‘Asia Pacific Screen Awards’ as ‘best actress’, which would take her nominations up to an impressive high of three.